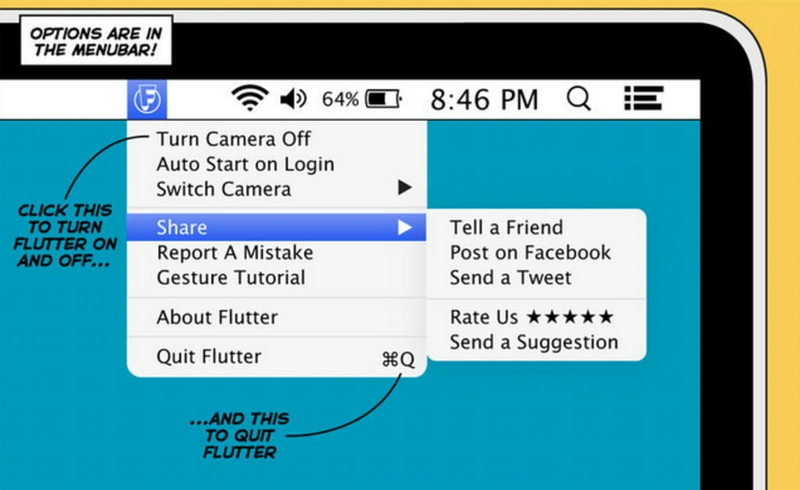 Flutter brings motion gestures to your Mac by allowing you to control multimedia applications with your hands (or even feet if you like). If you've ever hooked up your laptop or desktop to your television, you'll know the one thing lacking is a way to control it remotely. 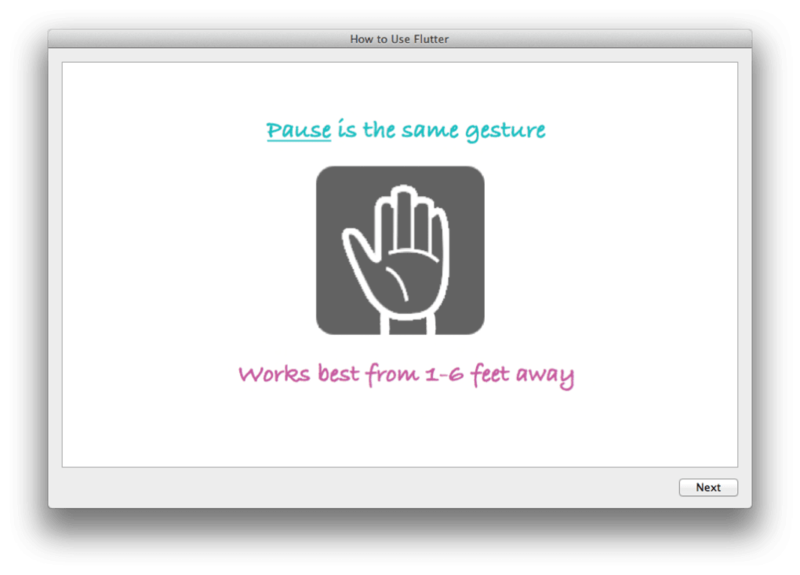 Sure, your Apple Remote can be used for basic functions but it's only really suitable for Frontrow. Flutter requires your iSight camera (or alternatively an external webcam) to be attached so that it can read and recognize hand gestures. And generally, it doesn't do a bad job. It's not perfect however and can be slow to respond at times. 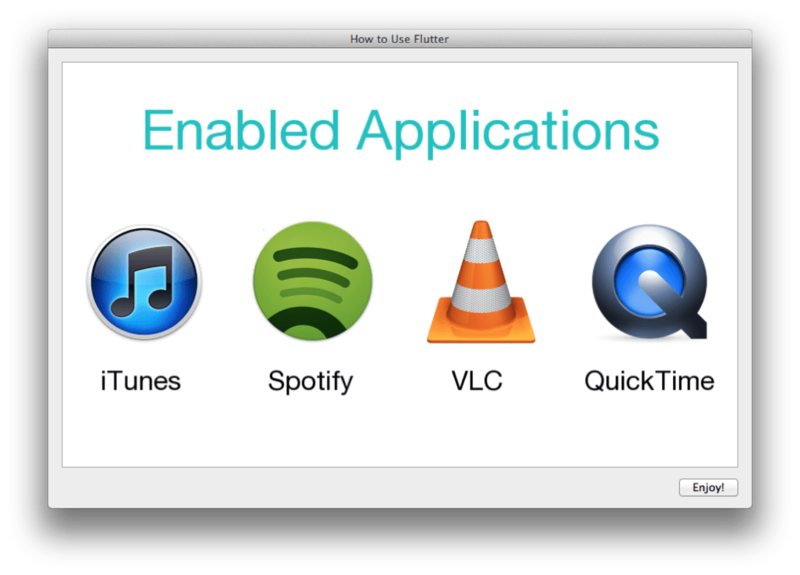 At other times it seems oversensitive and just looking it can suddenly set-off iTunes. At the moment, Flutter only supports iTunes, Spotify, VLC media player and QuickTime. 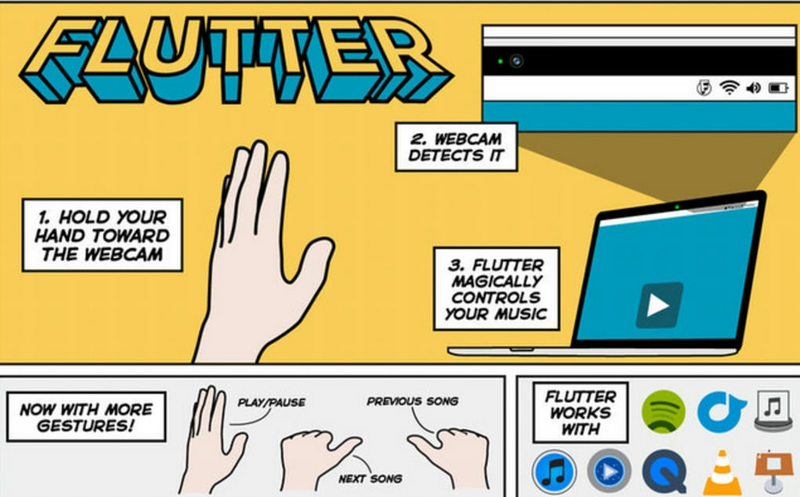 Despite the hit and miss functionality of Flutter, it is just about passable as a way of switching between tracks by waving your hand left or right. There's no way to control the volume though which is a basic feature they will surely add soon. 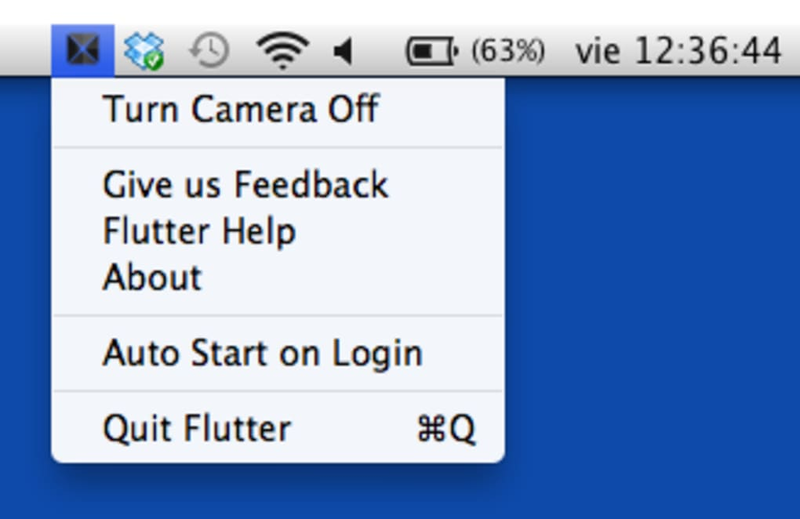 Flutter is an interesting project with potential lthough it can be very frustrating to use on Mac.